Curating a successful festival is no easy feat, and with countless newcomers cropping up every year attempting to make their own unique stamp on the summer festivals calendar, it’s harder than ever to stand out from the crowd. 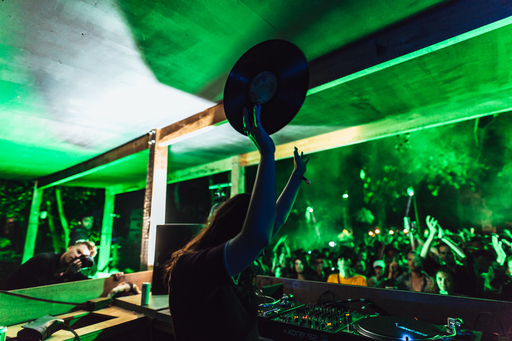 Celebrating its 10th anniversary this year, Gottwood festival has become a staple for any electronic music fan, and continues to be championed as one of the best and most enticing festivals of its kind. Set in the Carreglwyd Estate in Anglesey, North Wales, Gottwood’s unique surrounds play a key part in its success, and with its capacity capped at 5000 people six years ago, it remains a strictly intimate affair. Helena Hauff at Houghton Festival. Friends Tom Carpenter, Tom Elkington and Digby Neill founded the Gottwood festival in 2010, and have stayed true to the festival’s ethos from day one, allowing it to progress at its own pace. This year’s line-up continues to show what the festival is all about – showcasing new talent alongside key figures on the scene. Hunee, Move D and Shanti Celeste sit alongside the likes of Josey Rebelle, Peach and Skee Mask, with festival partners including Exit Records, Rhythm Section and Wigflex. Three years ago, the trio set their sights on a new venture, teaming up with DJ and fabric resident Craig Richards to launch Houghton festival in Norfolk. In just a few years, Houghton has developed a reputation for being one of the best new music festivals in the UK, for much the same reason Gottwood continues its reign over other dance music festivals in the country. “When we started we had no prior experience and we had to learn a lot very fast,” says Carpenter. “We were also lucky that the market wasn’t so saturated as it is now. I guess growing organically and having a good idea of what you want your festival to be is very key. Sarra Wild, on the other hand, is newer to the world of music festivals, taking her first steps into stage curation at last year’s Jupiter Rising music and arts festival, which takes place at Edinburgh’s Jupiter Artland. 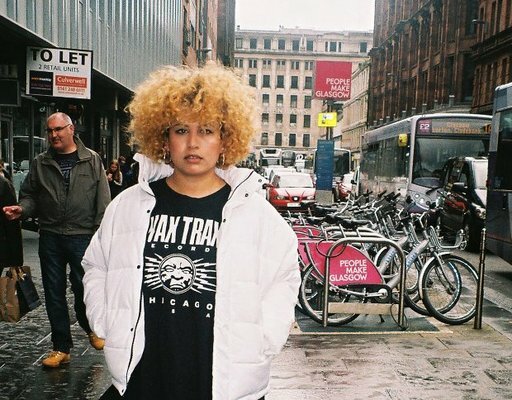 As the co-founder of the OH141 collective, Wild throws some of Glasgow’s most forward-thinking and exciting parties, as well as providing a platform for women, people of colour and members of the LGBT+ community to be more visible in Scotland’s club scene. Wild returns to Jupiter Rising this year, once again putting together an OH141-curated late night stage at the festival. Already announced for the stage are Cucina Povera, DJ Scotia, Ribeka and Tribe of Colin, with more still to be added. Mercury-nominated jazz outfit The Comet is Coming, Glasgow legends The Vaselines and Welsh musician Cate Le Bon feature on the festival’s live music line-up, while its art strand features Elaine Mitchener, Jim Lambie and Natasha Lall, among others. As always, with OH141’s involvement in the festival, Wild’s mission statement remains the same as it does through all of her work. “An exciting and bold line-up that’s inclusive of all types of identities and sounds, provided it flows creatively, is always a plus,” she says is key to a successful festival. “Accessibility, both physically and financially, is also great. While the two operate on vastly different scales, they share plenty of common views on the dos and don’ts of festival curation, with their work ethics lining up quite similarly. Both Wild and Carpenter are adamant that money should never be a guiding factor in putting on a festival, and believe that allowing it to do so can be detrimental to its success. “It’s so important not to be greedy,” says Carpenter. Carpenter believes that the pay off comes from “remembering how satisfying it is to see so many people take enjoyment on something that you have a big part in creating.” This focus on the festivalgoer's experience over the monetary gains plays a crucial role in building a loyal following. It’s testament to the long-standing success of festivals like Gottwood and the rapid rise of Houghton and Jupiter Rising that its curators maintain a crowd-focused approach and aren’t afraid to push boundaries, despite the potential financial implications.